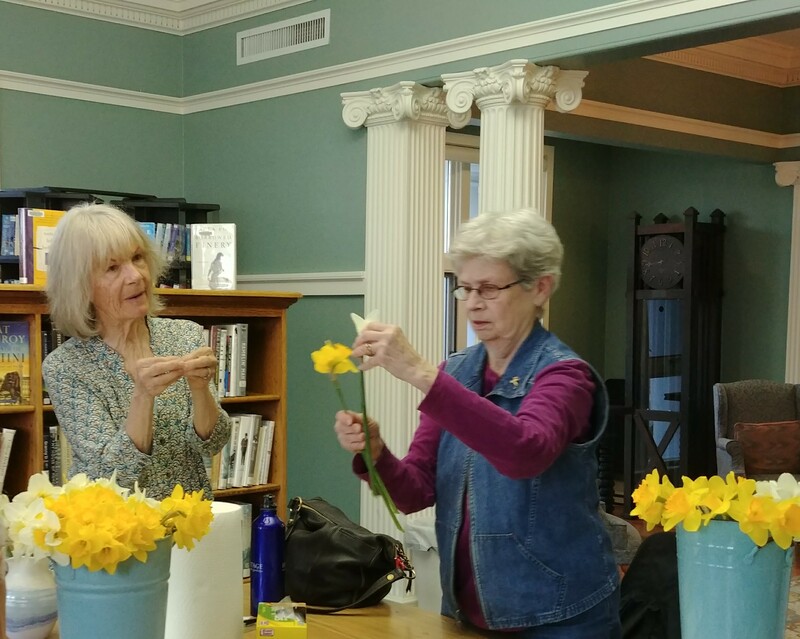 Thursday, April 26, the Plympton Public Library hosted Daffodil Daze, a presentation by local gardener Jane Schulze of Main Street. Jane introduced the audience to the many types of daffodils she has growing in her garden, how to keep these bulbs happy and coming back to her garden for many years. All participants were invited to bring home a daffodil bouquet. Jane Schulze, Plympton gardener, shows Brenda Traynor the difference between the various types of blooms. 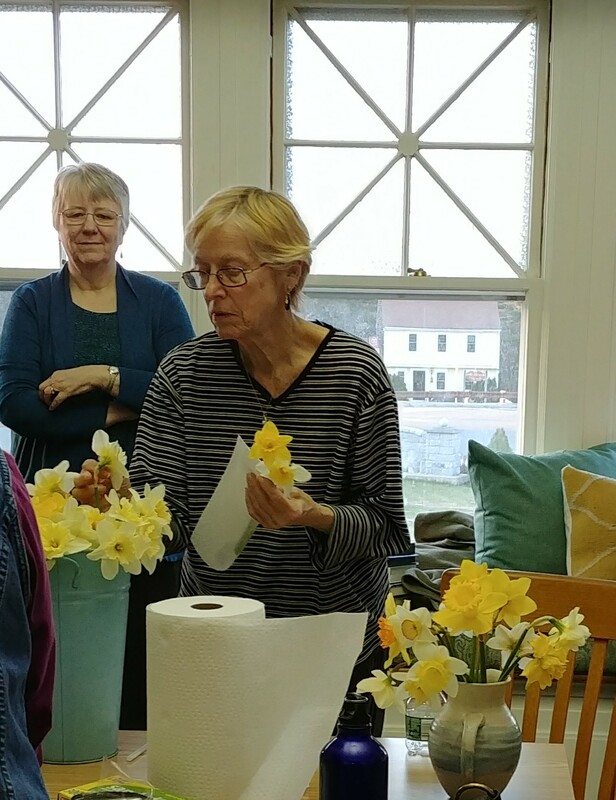 Debbie Batson, library director, left, looks on as a participant chooses daffodils for a beautiful bouquet to bring home.